The President George Bush Turnpike runs generally east–west through the northern suburbs of Dallas. It is named for George H. W. Bush, the 41st President of the United States. Construction is over on a busy stretch of the President George Bush Turnpike where the NTTA has opened a new, fourth lane of the highway between U.S. 75 and Texas Highway 78. 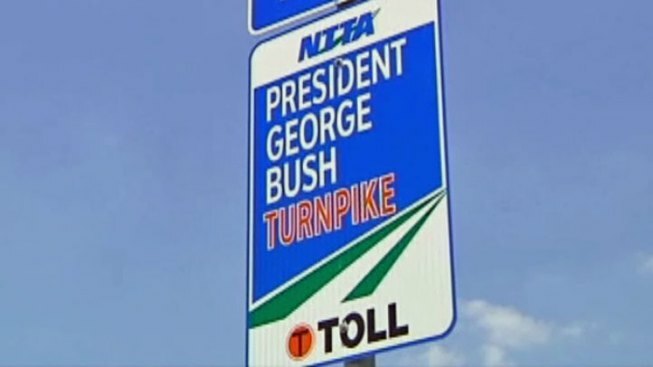 "This is another part of NTTA's commitment to decrease traffic congestion for our customers traveling on the President George Bush Turnpike," said NTTA Assistant Executive Director of Infrastructure Elizabeth Mow. "We have multiple planned and ongoing widening projects on the Turnpike that will enhance the driving experience for our customers." Construction on the widening of this segment of the PGBT began in June 2017. The additional lanes were constructed in the center median. With the opening of these lanes, drivers now have four lanes in each direction between SH 78 and the Dallas North Tollway. Information on the PGBT Widening Project and other NTTA improvement projects is available at NTTA.org.